In just two weeks we celebrate St. Valentine’s Day. Are you ready? Here are some ideas from your neighborhood spa to help you get the best out of this holiday! You have dreamed and fantasized about your perfect Valentine’s Day. Unfortunately, you loved one can’t read your mind. Tip #1: share your ideas. This may get your sweetie’s wheels turning and create excitement about the upcoming holiday instead of the dread of uncertainty about not knowing what to do for you. Don’t be afraid to drop hints! Tip 2: Don’t forget to enhance the romance leading up to that day. Leave a heart shaped love note taped to the bathroom mirror telling your love what you want to do to them this Valentine’s Day. Or leave kisses and a love note written in red lipstick. Tip 3: Plan ahead and don’t wait til the last minute. 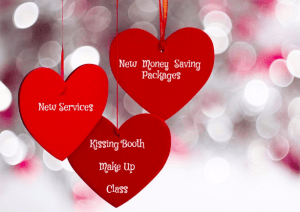 No matter what your budget you can make your Valentine’s Day Special. Spa Treatments and Spa Gift certificates are among the most wished for gifts on Valentine’s Day. Don’t forget to Schedule your appointments early! Valentine’s day is the busiest spa holiday. If that is not in your budget this year, you need to be a little more creative. Maybe create a special “Spa Date” at home. 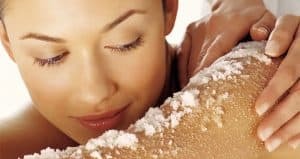 Start with a scented bath soak, or bubble bath, then follow up with a soothing body scrub and finish with a massage with warm scented oils. At Celebrity Skin Studio we have created a variety of money saving Valentine’s day Spa Packages. There is no better way to say I love you than with a spa treatment! Gift certificates are available in any amount and can be saved and combined. We keep track of your certificates for you, so no worries about misplacing them. Unless otherwise noted, gift certificates last for a minimum of 5 years. 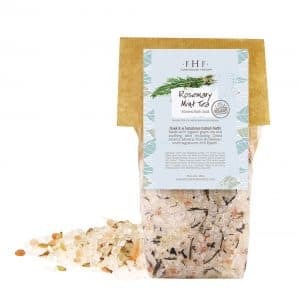 We love them because bath soaks and bubble bath are incredibly relaxing as well as detoxing and a great skin softening treatment. 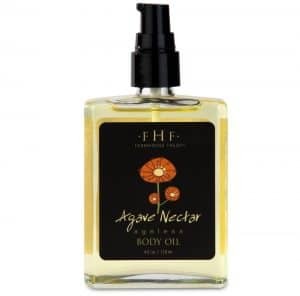 Our Bath Oils are great for putting in a bath for soaking, they also make a great massage oil, and are great for dry skin. They absorb into the skin giving it a healthy glow. No gross greasy residue here. It’s also water soluble and does not stain sheets or towels. 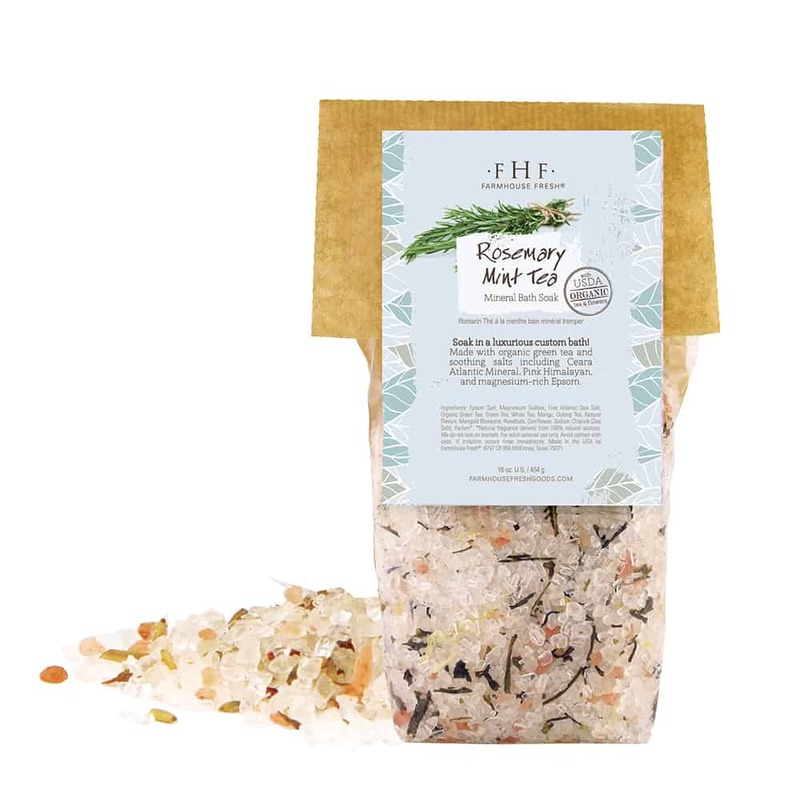 Our body scrubs are great for a body treatment, or can be used in the shower. They smell incredible and leave your skin feeling amazing. These products are all natural, some are vegan and gluten free. Check out our wide variety of scents made by Farmhouse Fresh Goods, available at Celebrity Skin Studio. We are happy to be your neighborhood spa, serving the West Valley, located in Litchfield Park, Avondale Arizona. Just a short distance from Goodyear, Pebble Creek and Verrado communities.